Thanks to the incredible success and support (thanks to our awesome donors!) received for our inaugural mission trip to Bolivia in 2017, we're excited to be going back to Saavedra. 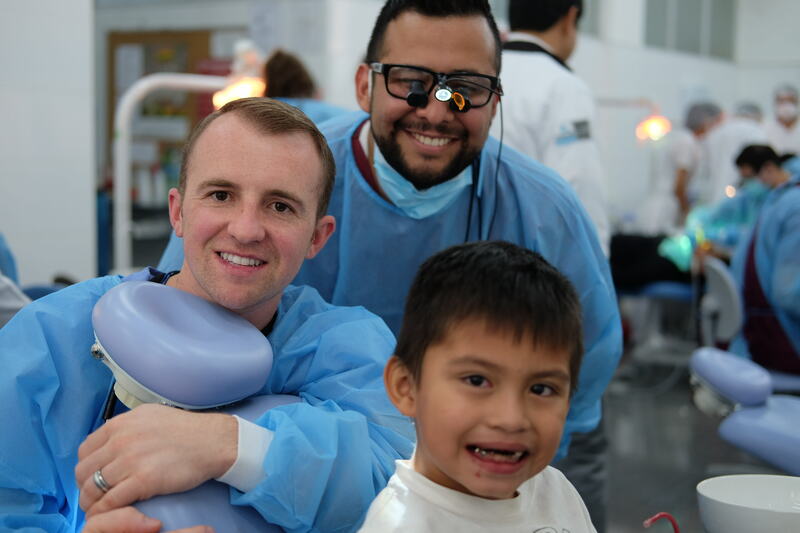 Fifteen dental students and two faculty members from the UNLV School of Dental Medicine will travel to Bolivia from August 18-25 to provide direct patient care alongside faculty and students from the Universidad Privida Franz Tamayo. While in Bolivia, our dental students will see at least 30 teenage patients from Saavedra, a small town outside of Santa Cruz, who are suffering from severe fluorosis. Our dental students will provide needed care including cleanings, fillings, extractions, and canine-to-canine veneers that will repair and restore their patients’ front teeth to an improved level of function and aesthetics, which will elevate their quality of life, and enhance their confidence. 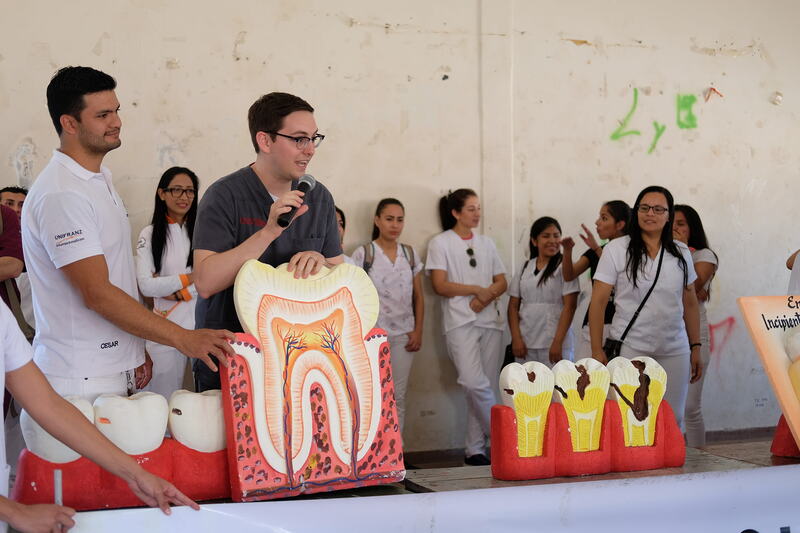 Dental students will also host a health fair aimed at improving the community’s awareness and knowledge about good dental health. Their work will be part of an existing outreach program for under-served Bolivians. We need your support today to help our patients- 30 under-served teenagers most of whom are embarrassed to smile. Your gift of any amount creates impact and smiles that lasts a lifetime. Below are photos from our first trip. Absolute Dental will match all gifts made by their employees, up to $5,000! Thank you Absolute Dental for your ongoing support of our mission trip and our Dental School. Covers the dental cleaning for one deserving Bolivian. Covers the fillings for three deserving Bolivians. 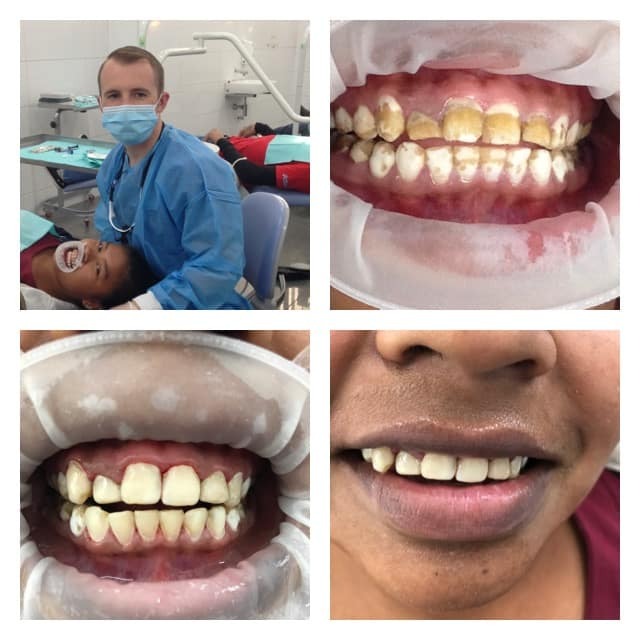 Covers canine-to-canine veneers for one Bolivian suffering from dental fluorosis.